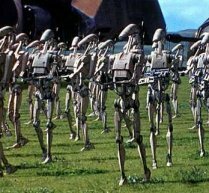 1) What movie are these robots from? 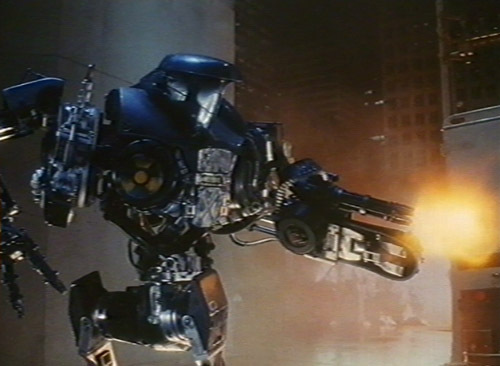 2) What was the evil liquid-metal robot of "Terminator 2" called? 3) What movie is this quote from? 4) How did robo-kid Haley Joel Osment nearly kill his human 'brother' in the flick "A.I"? 5) What was the name of the evil robot-Godzilla in the Toho 'Godzilla' monster series? 6) What kind of animal structure did the killer robot of the Val Kilmer flick "Red Planet" have? 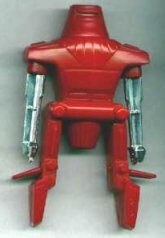 7) What movie is this robot action figure licensed from? 8) In which movie did Gary Oldman reprogram a friendly robot to terrorize a happy-go-lucky family during their mission into outer space? 9) Which movie WASN'T about a killer android? 10) What is the name of the shorter robot in the original Star Wars movie? 11) What character in Alien was actually a robot? 12) Which company created the Terminator? 13) Which character in Star Trek: The Next Generation is a robot? 14) Which robot murdered Dr. Alfred Lanning in I, Robot? 15) A toughie to end. What movie is this robot from? Type in your answer.